Looking for an event venue near the redwoods? With a range of historic, elegant and large capacity rental spaces and our uniquely charming atmosphere and convenient location close to the redwoods and Eureka CA, Ferndale is the perfect place for a wedding, corporate event or other private function. At the heart of Ferndale's beautiful Fireman's Park is the Ferndale Community Center, a large venue available for hosting both community functions and private events with seating for 362 and standing capacity for 775. Tables, chairs and a PA system are available. A commercial kitchen with utensils/dishes is a also available for rent. The Ferndale Repertory Theatre is a small performing arts theater available to rent for community and private events in the off-season. 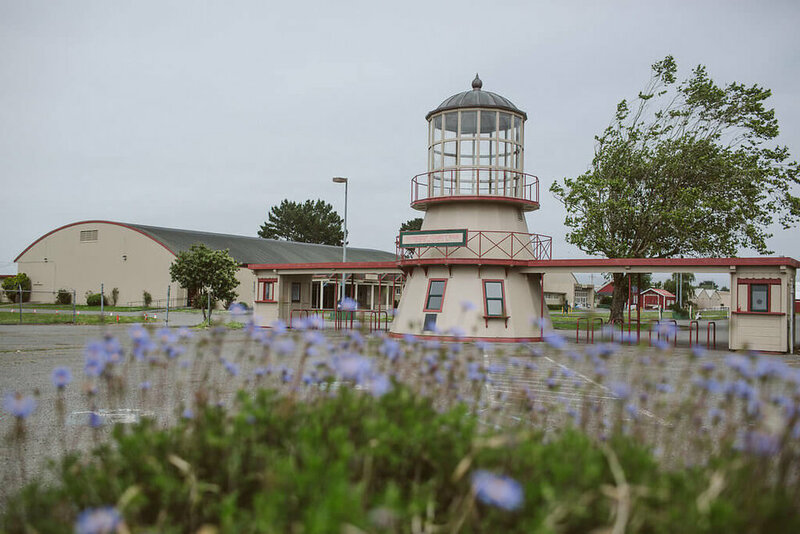 Three halls are available for rent at the historic Humboldt County Fairgrounds: Belotti Hall - which features a commercial kitchen and seating for up to 500 (1100 standing), the Turf Room - which also offers commercial kitchen facilities and seating for 100 (200 standing) and the Art Building/Red Barn - no kitchen, three rooms and 400 person capacity. Located in a magnificent 115-year-old former Methodist church, The Old Steeple is a concert venue also available to rent for private events, from weddings to corporate functions. Seating is available for 225 people in the large concert hall, while an elegant adjoining parlor with a gorgeous wood-carved fireplace is available for small events.